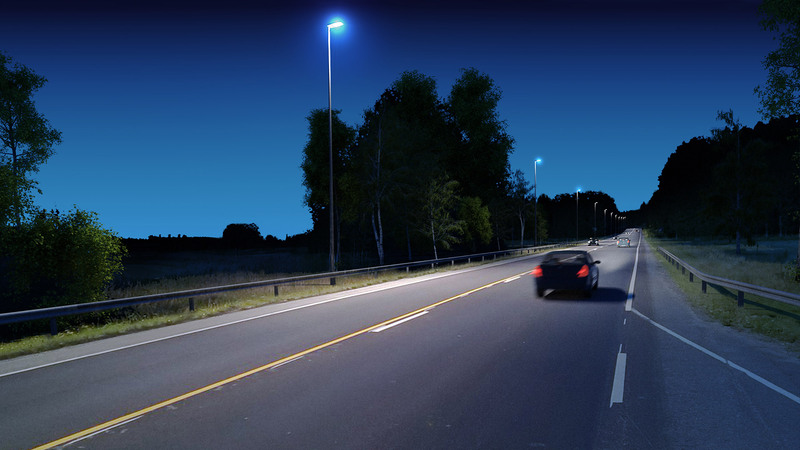 Greenled has launched a new street luminaire that meets the challenges of Nordic street lighting. What are the challenges of the Nordic buyer, and how does Vega L tackle them? Keep on reading to know more. Every street is different and street lighting should, therefore, adapt to its environment. In the Nordics, the streets are classified based on their characteristics and the amount and type of traffic. 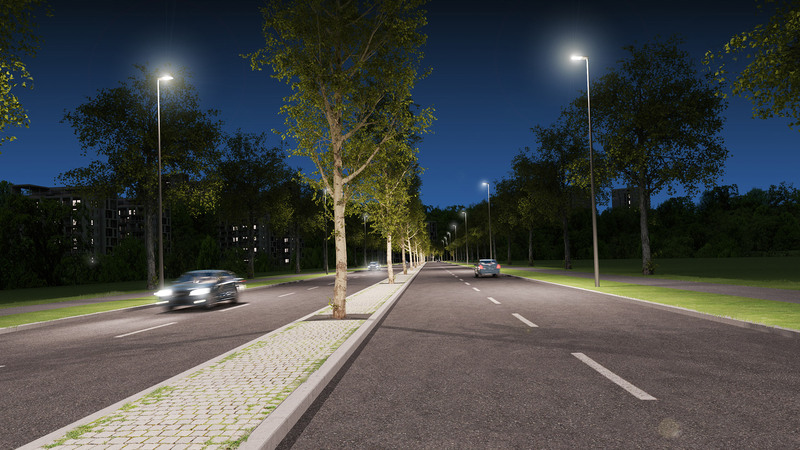 Each street is appointed a lighting class that determines the right amount of light and ensures the safety of road users. In street lighting projects, the luminaires are customised to meet the requirements of the lighting classes and the characteristics of the streets. Customisation aims to find the most suitable solution with different combinations of light output, optics, design and lighting controls. These choices play a major role in the end result. At its best, customisation helps to save more energy, results in safer streets, elongates the lifespan of the luminaires and improves the readiness of cities and municipalities to exploit future technologies. Vega L is designed to be customised. With all the power and light distribution options combined, the luminaire has well over a million possible configurations. The luminaire adapts to customer needs and fulfils the NFM LED luminaire requirements. For us at Greenled, customisation is not an extra hassle. Instead, it’s part of what we do to meet your demands. In street lighting, the durability of the luminaires is vital. Street luminaires are always exposed to tough conditions, including heat, cold and moist. As opposed to nature’s own twists, vandalism is always another concern on public spaces. The people in charge of street lighting value a long product guarantee and a reliable supplier. It’s not only a matter of road safety or costs but also a matter of responsibility and reputation. Whether good or bad, the people in charge of street lighting are there to hear all the street lighting feedback from municipal citizens and other stakeholders. Vega L tolerates the varying weather conditions in the Nordics. The smooth structure of the luminaire keeps trash away and the components are close to the frame to direct the heat away. Vega L has IP66 and IK08 class and it is thoroughly tested with wind and rain tests, a customised damp heat test and light distribution measurements. In street lighting, the reliability of delivery is key. Street lighting projects involve many parties, such as the person in charge of street lighting, the street lighting designer and the contractor. For the contractor delays are more than an inconvenience since delays often result in fines. Apart from the original order, it is very common that extra luminaires are needed and ordered at some point of the project. It might be only a couple of extra luminaires or a somewhat bigger order – whatever the case, for the buyer it’s important to have the extra luminaires delivered in a decent time frame. In these situations, the lighting supplier needs to be able to react and adapt. Greenled luminaires are manufactured at the company’s own factory in Finland. Thanks to in-house production and product development, we can quickly react to new emerging needs. Every Greenled luminaire is carefully tested before delivery. A few years ago, it was enough for street lighting to fulfil its primary job of illuminating dark driveways as efficiently as possible. Today, however, street lighting is asked to do more than that. Street luminaires have an important role in Smart City thinking, future strategies and the adoption of IoT technologies in cities and municipalities. Street luminaires are strategically important because they are placed where people drive, travel and move around. Luminaires provide electricity and with the right kind of equipment, they offer the possibility to integrate and utilise emerging technologies. Image: Street lighting is currently going through a major shift relating to the emerging concept of Smart City and the interoperability of different systems. But how to purchase the right kind of luminaires when the future is still unknown for most of the cities and municipalities? Perhaps the best advice is to choose the kind of street luminaires that allow further customisation and on the other hand, do not restrict you from going further. Though the future is fairly unknown, Smart City compatibility is already a key feature of street luminaires. Vega L is ready for future Smart City needs. The luminaire is available with one NEMA or 1-2 Zhaga sockets. The sockets enable the integration of external devices and sensors. Receive the latest of lighting straight to your own mailbox. Interesting articles, case studies and more. We’ll keep your data safe.